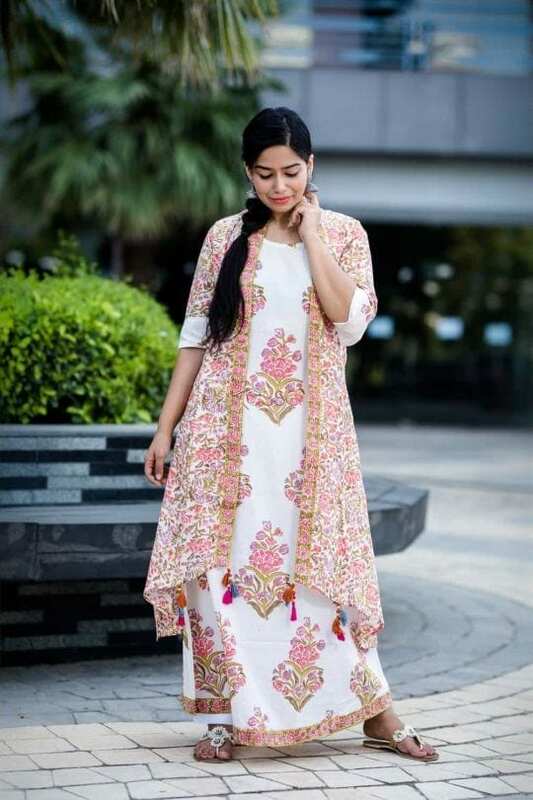 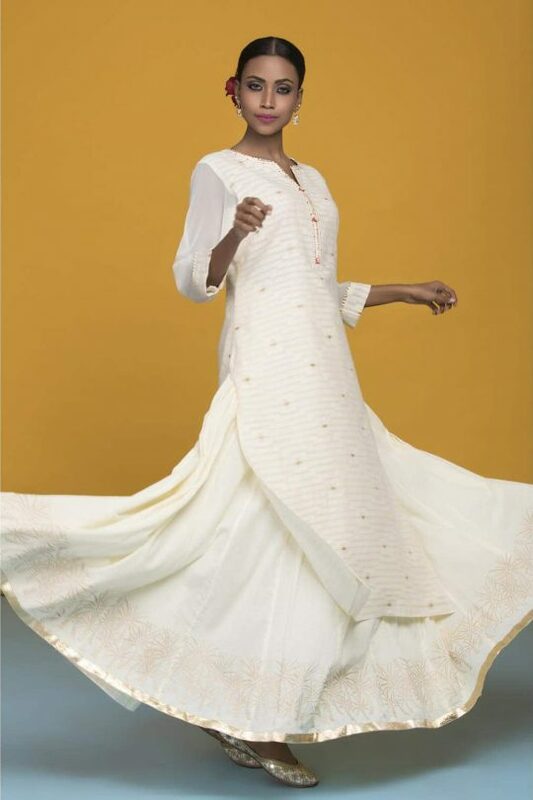 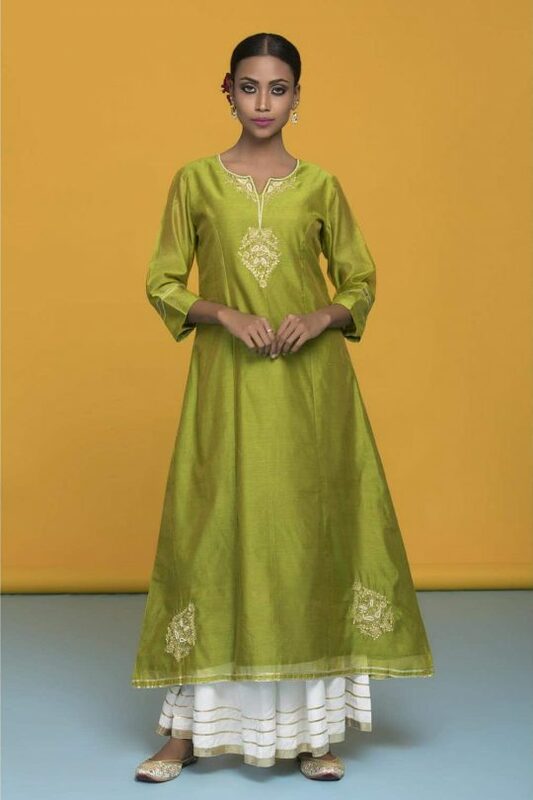 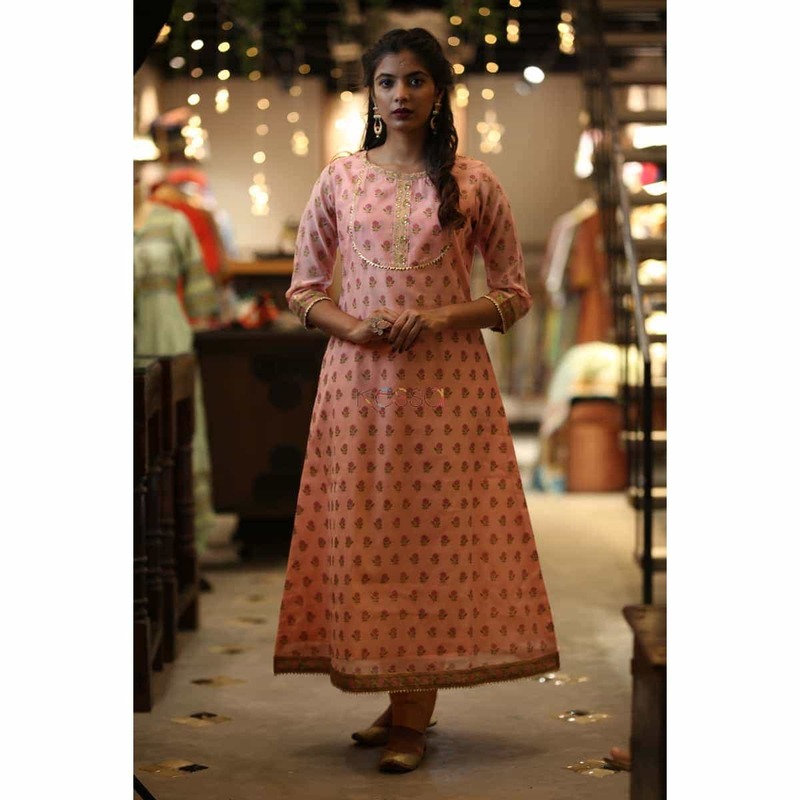 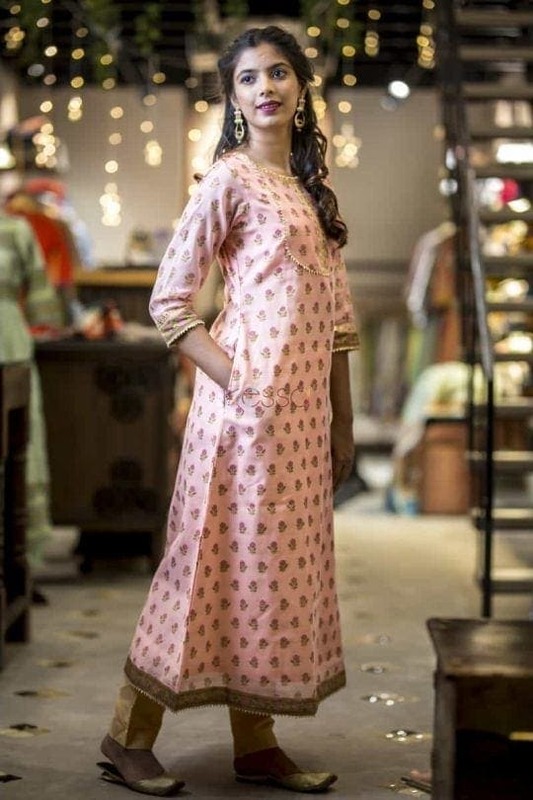 This A-line kurta with princess cut is based on chanderi jacquard fabric and is highlighted with zari and gotta work. 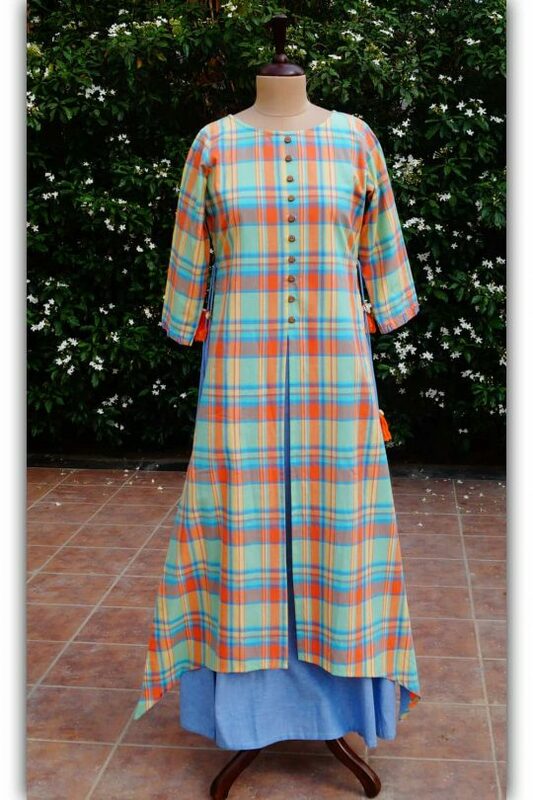 It has one side pocket. 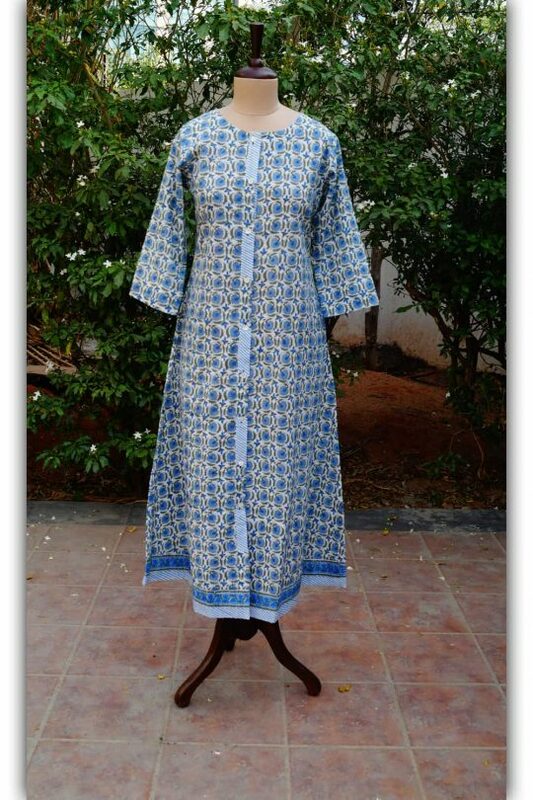 There is scattered flower print and it comes with an attached cotton lining. 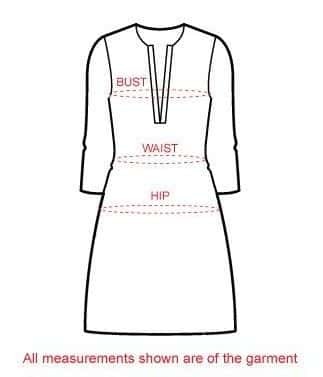 As the fabric is little stiff, please order a size larger than usual for a fabulous comfortable fit.